Pascal Bessong, PhD | Center for Global Health, U.Va. 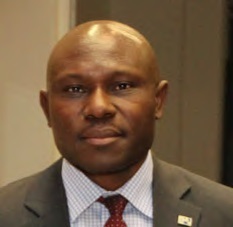 Pascal O. Bessong is a Research Professor and Director of the HIV/AIDS & Global Health Research Programme at the University of Venda, South Africa. His research focuses on microbiological investigations impacting on translational science and global health. Specifically, he is interested in host and viral determinants of HIV drug resistance and the sustainability of highly active antiretroviral therapy (HAART); the impact of HAART on the pathogenesis of malignancy associated viruses; and the interaction of enteric viruses, vaccine response, gut integrity, growth and development in young children. He is the principal investigator of Transmitted and acquired HIV drug resistance in Limpopo Province, Bioprospecting platform, and MAL-ED South Africa research projects. Professor Bessong is the director of the national annual training workshop on gene expression and biotechnology.